Your Manistee Michigan wedding will be one of the most romantic memories you'll make. This scenic beachtown, on Michigan's west coast, is one of the most popular wedding destinations in the state. 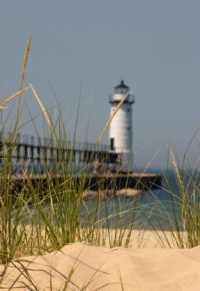 The lighthouse and charming downtown area are popular Michigan destinations. We have researched the businesses below so you can get the help you need for your romantic Lake Michigan ceremony. If you are planning a Michigan beach wedding be sure to contact the wedding consultants. There are plenty of beaches here and they will know the best fit to make your Lake Michigan beach wedding unforgetable. 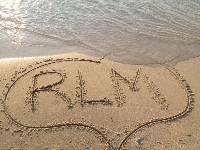 Check out our Romantic Lake Michigan clothing and other items. These can make great unique wedding party gifts. If your business is area wedding services related, and you would like to be listed here for our guests, please contact us.